Click image to enlarge Dougs Beach, Washington, from Rowena Crest, Oregon. Image taken August 23, 2008. Dougs Beach State Park is a 400-acre, undeveloped day-use park on the Columbia River at River Mile (RM) 183. 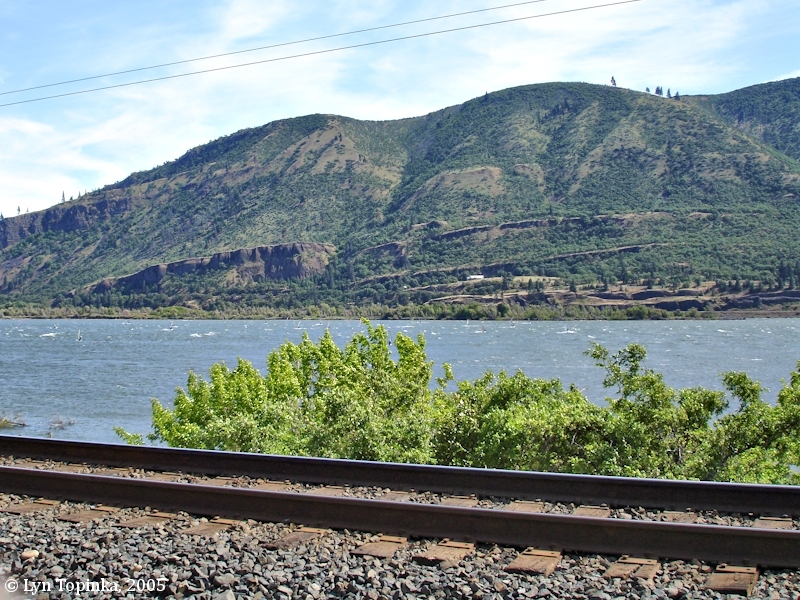 Across the Columbia on the Oregon side is Mayer State Park and upstream on the Oregon side is Crates Point. 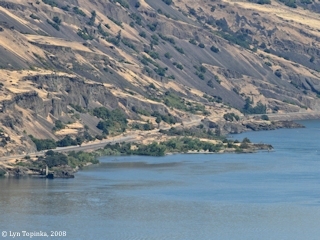 Downstream on the Oregon side is Rowena Crest. 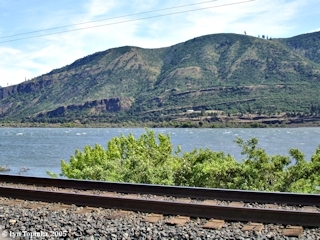 Downstream on the Washington side is the Washington town of Lyle and the mouth of the Klickitat River. Dougs Beach is one of the top windsurfing beaches in the Columbia River Gorge and is rated for advanced sailors. Parking is along the south side of Washington State Highway 14. There is a pedestrian walkway behind the vehicle-parking area, fenced from passing trains. Visitors access the beach down a paved path with railroad-crossing arms and signals. Dougs Beach acquired its name from a windsurfer who used to frequent the beach when the sport was in its infancy. 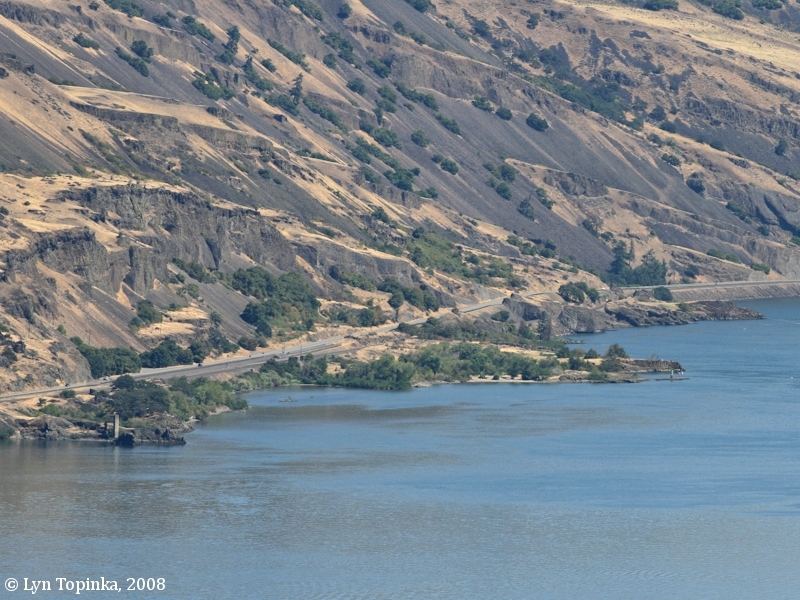 On October 29, 1805, Lewis and Clark stopped for supplies at an Indian village in the vicinity of today's park. They referred to the village as the "Friendly Village". The "friendly Village" is in the vicinity of today's Dougs Beach, while the second village is near today's Lyle, Washington. The river was the Klickitat River. Click image to enlarge Oregon banks of the Columbia, as seen from Dougs Beach, Washington. Image taken June 4, 2005.